Indulge in our 13 days Honeymoon Explorer Self Drive holiday offering world class experiences, exceptional cuisine and sublime luxury. This Self Drive Honeymoon is designed for the couple who are looking for an indepedent holiday, whilst enjoying the best that South Africa can offer. South Africa offers some of the most romantic and exclusive destinations in the world – from the vibey and cosmopolitan city of Cape Town with it’s iconic Table Mountain and pristine white beaches to the excitement of a safari! Day 1 – Day 4: Welcome to Cape Town! 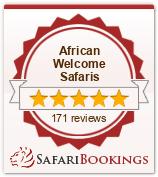 Arrive at Cape Town Airport and met by your African Welcome Safaris representative. You will be assisted with the collection of your hire vehicle and then proceed to the vibrant Victoria & Alfred Waterfront, where you will be spending the following 4 nights at the luxury Boutique Hotel, The Cape Grace. Explore Cape Town over the next few days and all the delights that it offers. Self drive to Cape Point and Cape of Good Hope Nature Reserve and revel in the exceptional views over the ocean and take time to enjoy Boulders Penguin Beach, situated in a small nature reserve with the African Penguin strutting around in front of you. This is small and beautiful beach, and well worth enjoying soaking up the sun and dipping in the crystal clear water in the protected alcove. Ride by cable car to the Summit of Table Mountain, offering views as far as the eye can see over Cape Town. Table Mountain offers fantastic walks and hosts a variety of flora and fauna. If History and culture appeals to you, a walk through the city centre of Cape Town is a must-do. Take time to view the historical buildings, explore the museums and just enjoy the hustle, bustle and local markets, selling African curios at Greenmarket Square. A leisurely and scenic drive takes you to the Winelands area of the Cape – with its exquisite scenery, culinary delights and award winning wine estates. Spend two days at La Residence situated in Franschhoek – exploring the Winelands areas with La Residence as your base – Cellar Tours, Wine Tastings and gourmet lunches at the tips of your fingers. The French Huguenot town of Franschhoek hosts quaint shops and a host of restaurants to choose from. Luxury accommodation at its best- finding a perfect blend of style and comfort, while waking up to breathtaking views from every angle. Depart the Winelands area of the Cape, and head over the scenic Four Passes to Knysna and onto Plettenberg Bay. Knysna is one of the Southern Cape coast’s best known holiday destinations, situated between lush forests and the shores of the peaceful lagoon – it offers many activities and attractions of a wide variety. The most well known attraction being the heads – two great sandstone cliffs guarding the mouth of the lagoon which connects the estuary with the sea. Plettenberg Bay is known as the jewel of The Garden Route. Originally known as “Bahia Formosa” (beautiful bay) by early Portuguese explorers, Plettenberg Bay is well known for its beautiful beaches, dramatic rocky peninsula, lagoons and estuaries, indigenous forests and unpolluted rivers and sea. Plettenberg Bay offers warm and lazy sunny days on the beach for those seeking a tranquil getaway from the everyday environment. Enjoy whale and dolphin watching as well as other outdoor activities. Spend 3 nights at the beautiful and ocean facing suite at The Plettenberg Hotel – with views of endless aquamarine ocean from your window. Plettenberg Bay is a vibey holiday town and perfect as a base to further explore the other areas of the Garden Route with its choice of many activities on offer. Depart Knysna, heading past Storms River, the scenic Tsitsikamma Forest and Port Elizabeth and into the Eastern Cape, where you will spend 3 Nights on Safari in ultimate luxury. Home to Africa’s Big 5 (elephant, rhino, buffalo, lion and leopard) and situated in a Malaria Free area – it forms a natural extension to the Garden Route. Spend 3 Nights at the luxury Shamwari Private Game Reserve – Eagles Crag lodge – relaxing with spa treatments in between twice daily game drives in open safari vehicles. A leisurely drive from Shamwari Private Game Reserve to Port Elizabeth Airport for your onward flight. A myriad of memories to take home with you – and a Honeymoon to remember! Please contact one of our travel consultants to tailor make your Ultimate Honeymoon experience. Not what you are looking for? Browse through our other holiday options or contact one of our travel experts to design the perfect Honeymoon for you and you alone!